New inspiration post again! I love to put pictures in this way. 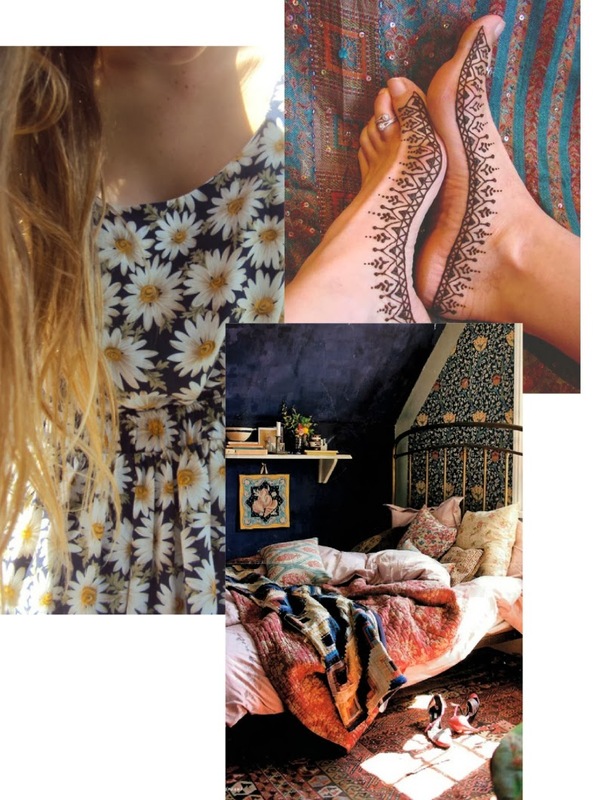 I wandered around a little at tumblr again and I fell in love with this daisy dress, does anybody know where that lovely comes from? The photo of the room is an inspiration for me: next year I'll move out. I'm not sure yet whether I want lots of white or more like the style of the photo above. I always love lots of different things who don't match, so I have to choose. Maybe lots of white with lots of bohemian. The other picture has something special I think and it adds something extra to the other photos. Anyways I'm really looking forward to style a/my new roomie, have a place for my own, where I can listen to my records, drink tea from little vintage flower cups, put beautiful things on my clothing rail.. ahh I can go on like that forever! Where do you live now? And what kind of room would you choose? Een daisy dress op de eerste foto! Awesome! I love the bohemian feel of the picture! Ik heb net je blog ontdekt, en ik vind het heel mooi en inspirerend. Madeliefjes zijn mijn favoriete bloemen en de andere plaatjes zijn ook prachtig. Goede collage!